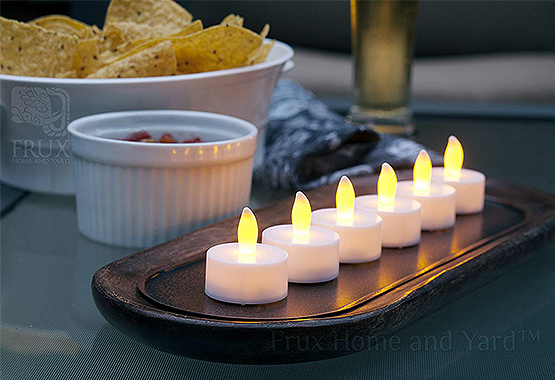 Tea lights are an amazing versatile little candle. They fit pretty much anywhere, don’t give off a strong scent, and – best of all – they come in flameless varieties! Not only can you put tea lights in votives, but you can also put them in luminary bags. 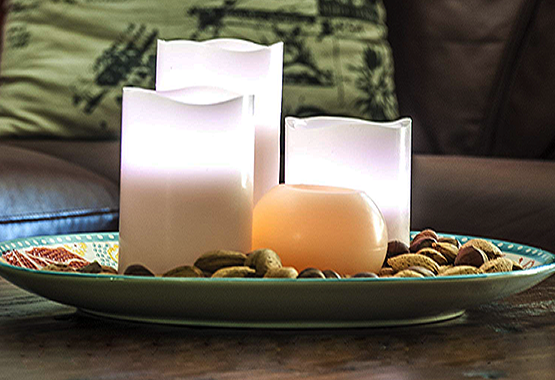 Frux Home and Yard Flameless LED Tea Lights come with your choice of paper wraps or white luminary bags with a cutout design. 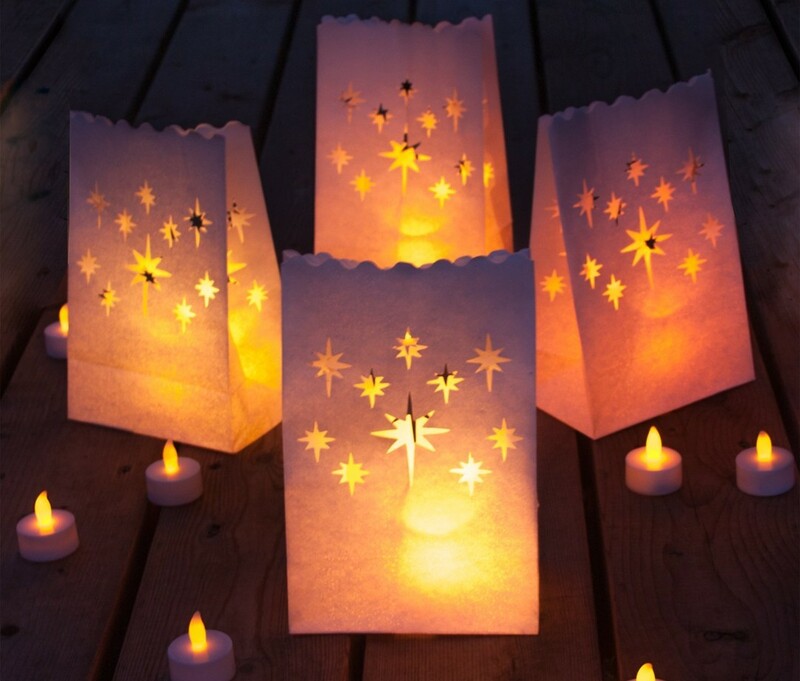 The luminaries are great for creating a lighted path along your walkway or stairs. They look lovely lining your garden or patio as well.